The Minions Movie is getting ready to hit theaters on Friday. If you haven’t noticed there is pretty much Minions EVERYTHING all over the place. I even got a Minion box with my amazon order this week. My kids are always amazing, but they have been particularly good all Summer so far I wanted to do something special for them. So I have been picking up Minons goodies while I am out and about. I grabbed this blue bucket and yellow confetti paper at the Dollar Tree and filled it with all the goodies for them to share! I told you they have just about everything Minions right now. I then made these Printable Movie Tickets. I printed out one for each of the kids and put it with the basket. I can’t wait to surprise them with their basket and tickets Friday morning. I ordered our movie tickets off of Fandango so we are sure to have a seat. 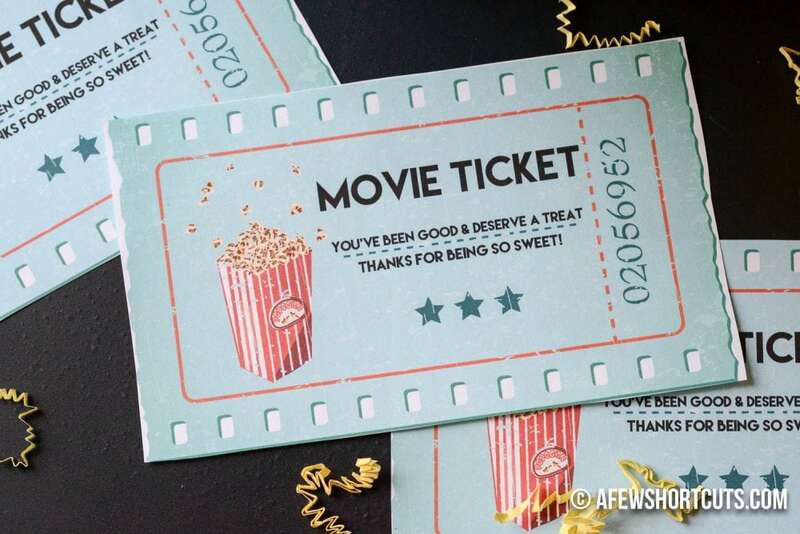 These Printable Movie Tickets can be used for anything. 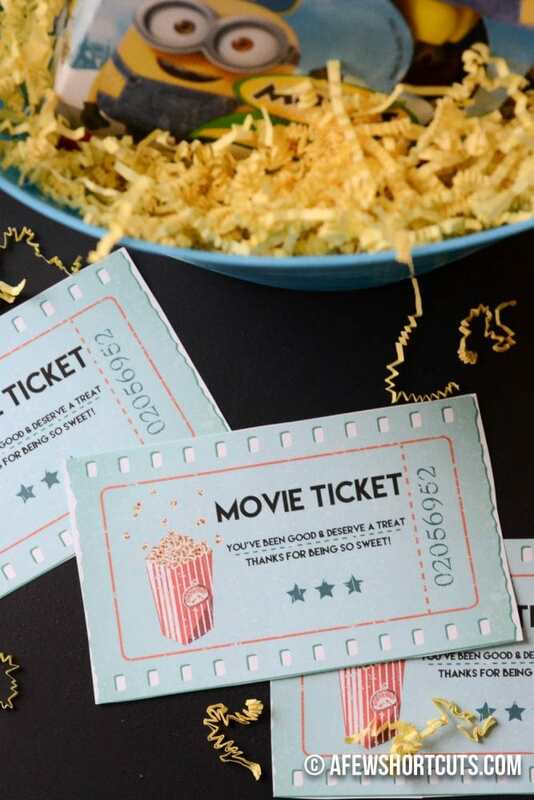 Print them for a movie night or a trip to the theatre. They are a fun way to reward your kids for a job well done. 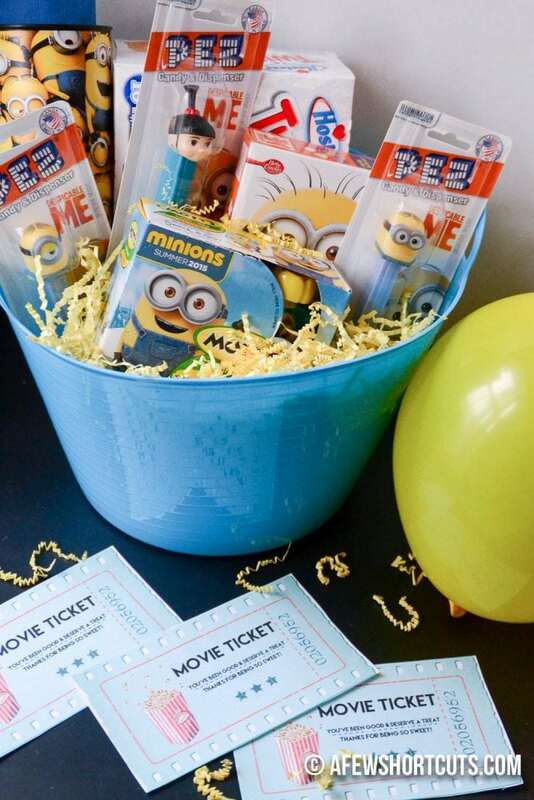 This gift basket idea is a great way to surprise anyone for any movie. Not just Minons! Fill the basket with microwave popcorn, sodas, boxes of candy, or any treats you want. This is a perfect way to bring a smile to someones face. What a cute gift basket! 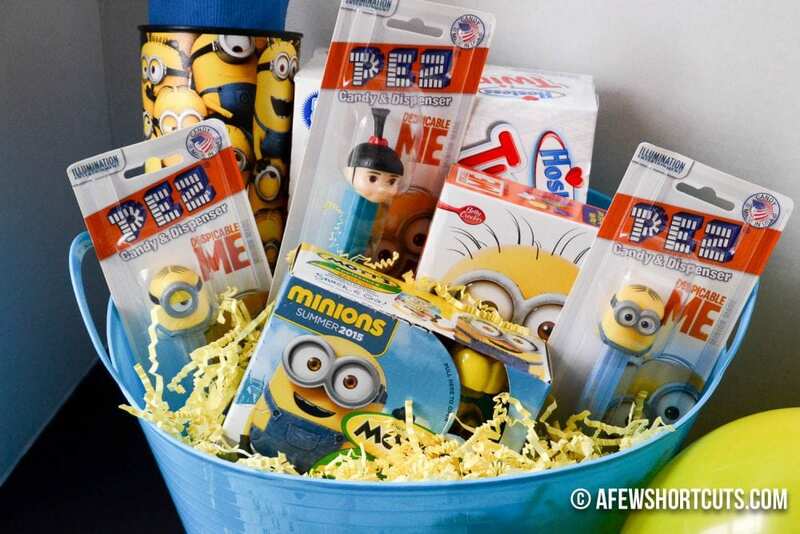 My nephew’s birthday is coming up next month, and he would love getting this basket for his birthday! !